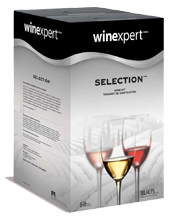 Luna Rossa: Bold robust and intense: Winexpert`s `Big Red` is the largest most full-bodied red wine ever released! A dark inviting colour and rich bold oak-enchanced aromas suggest at what is to come: an abundance of mouth-filling chewy berry flavours. Luna Rossa is complex with rich layers of fruit and solid supporting tannins capped by a long oak finish. A powerful wine matching startling flavours and aromas with elegance and finesse.